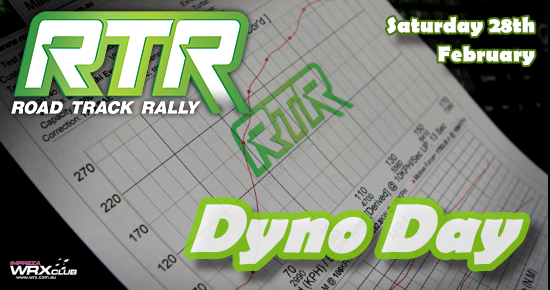 The Impreza WRX Club together with RTR are hosting a Dyno Day on Saturday the 28th of February. RTR uses a Mainline/DynoLog dyno which is regarded as the best and most accurate dyno avaliable. It is widely described as the “No Fudge” or the “Unfudgeable” Dyno. Free BBQ and drinks will be provided. Non Member registrations will open on the 10th of February.